Financial planning and analysis (FP&A) is a group within a company’s finance organization that provides senior management with a forecast of the company’s profit and loss (income statement) and operating performance for the upcoming quarter and year. These forecasts inform management on the progress and effectiveness of the company's strategic plans and investments. They also enable management to communicate with external stakeholders. 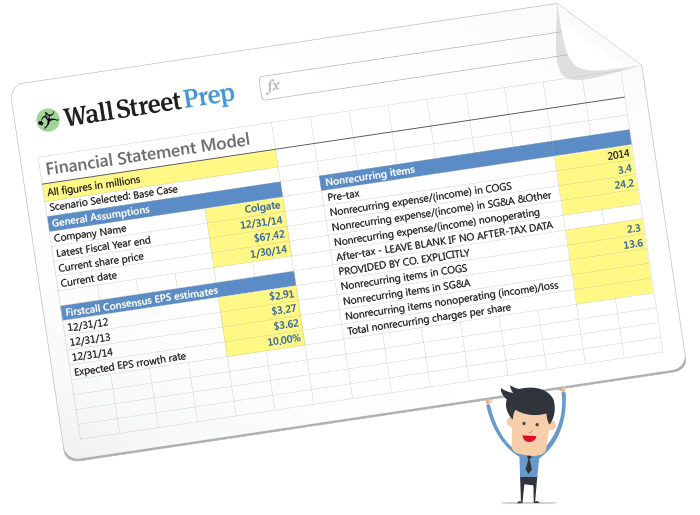 FP&A teams typically reports directly to the CFO. Here’s how these groups broadly fit together. The controller is broadly in charge of the company's financial accounting. This role is therefore a primarily historical record-keeping function that ensures that a company’s books are in order. Key tasks include overseeing the company’s financial reporting and regulatory requirements. Tax reporting usually falls under this umbrella or as a separate function under the CFO altogether. Treasury manage the cash, debt and equity of the company. Key tasks include managing the company’s liquidity and financial investments, optimizing the company’s capital structure and overseeing the company’s debt and equity issuances. If the controller is tasked with making sure all the historical numbers are in order (i.e. financial accounting), the FP&A team is tasked with ensuring the forecasts are in order (managerial accounting). Specifically, the group is primarily charged with planning, i.e. it produces the budget and periodic forecasting to aid senior management in decision making. As you might imagine, the task of forecasting a company's financials requires both an understanding of the company's historical performance as well as an understanding of the key assumptions and trends that may impact future performance. This requires a broad understand of both accounting and business operations. As a result, FP&A teams are in frequent contact with all areas of the enterprise including operations, sales, marketing, treasury and accounting. FP&A's role as the "eyes and ears" of the organization makes it a central liaison between the corporate and operations teams. As such, FP&A interfaces with the CEO as well as the CFO. FP&A teams are increasingly tasked with the development of a rolling forecast, either in parallel with the traditional budget or altogether as a replacement. FP&A’s primary responsibility is to connect senior management's long term "strategic plan" to reality. The strategic plan is a top-down, senior management driven document that sets high-level targets (revenue, net income, core strategic initiatives, etc.) for the firm anywhere from 2-10 years in the future. 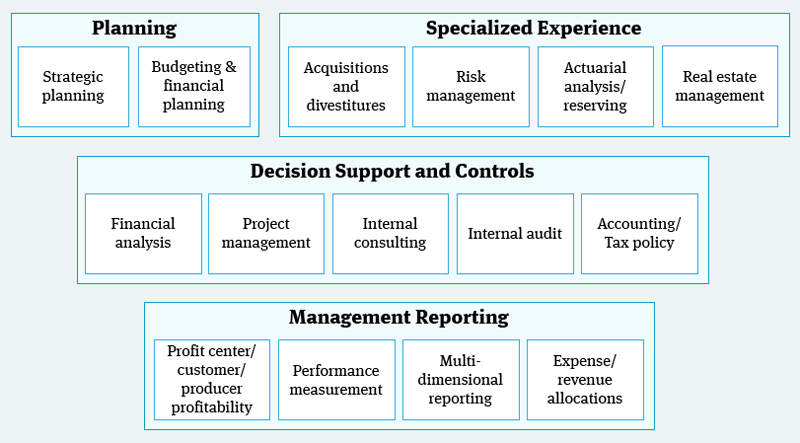 FP&A's job is to develop the operating and financial plan required to achieve management's strategic plan. This process is also known as corporate performance management. Historically, this meant that FP&A would develop a largely static annual budget that updates once each year. However, since static budgets get stale quickly, FP&A teams are increasingly tasked with the development of a rolling forecast, either in parallel with the traditional budget or altogether as a replacement. As a key part of the forecasting process, FP&A teams conduct variance analysis to show management how the budget and/or rolling forecast compares against actual performance. At its best, the report provides the CFO with enough information to answer key questions from external stakeholders and may identify various levers that can be pulled to optimize performance or meet certain goals. M&A: Identifying potential acquisition targets, buy-side support, integration and divestitures. Process optimization: A perennial problem for large organizations is workflow inefficiency that arises when various technical systems and tools don't "speak to each other" well. Resolving this often requires time consuming manual intervention. Because FP&A teams find themselves in the middle of these process inefficiencies, they are often the ones tasked with improving them. Market research: Determining the size of a given market, leaders, laggers and potential opportunities in which the organization may have a competitive advantage. Capital allocation: How much of and on what should the organization’s capital be spent. For public companies, the role of FP&A is particularly important because management teams often provide revenue and net income guidance to shareholders based on the budget and forecasts prepared by the team. Getting these forecasts wrong not only prevents management from accurately allocating resources and achieving its strategic plan, but also has a direct and immediate impact on a company's share price. In the CNBC video below, you can see how Under Armour shares plunged 23% when the company announced that it did not achieve the prior quarter's forecast ("guidance") that it provided to investors.